Berlin Kreativ Kollektiv is Berlin-based community oriented not-for-profit organization that concentrates on connecting and educating local creative entrepreneurs. 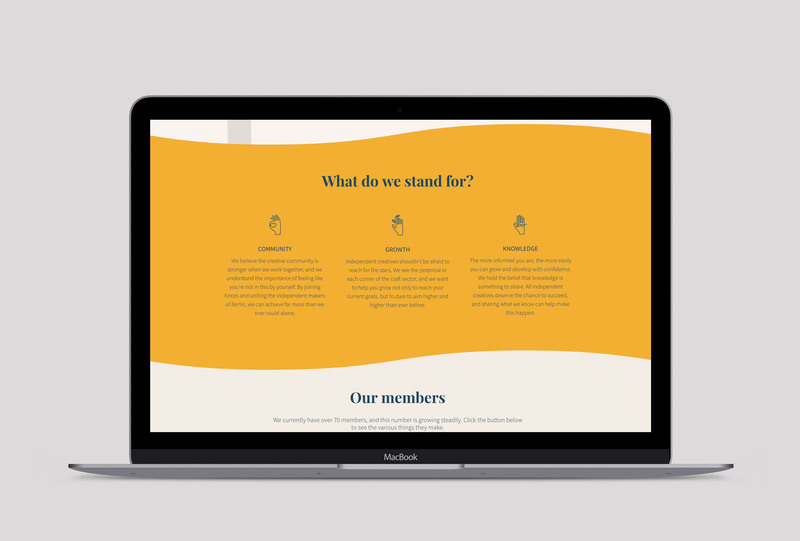 Their website needed a vibrant fresh look that would reflect their core values and young spirit. Vivid colours combined with organic shapes made alive through subtle interactions and animations that create a fresh dynamic look. Custom icons were created to visually represent the focus areas of the organisation. The homepage is easy to maintain and update, allowing the Kollektiv’s management board add upcoming events and latest news, if needed.